This low budget non-contact formula is the perfect starting ground for drivers of the future. The Rookie Rods have been another success story for Spedeworth, designed as a low budget non-contact formula, for those just starting out in oval racing and to cut their teeth and learn the skills that will be required to make them stars of the future. The class consists of only Novas, Fiestas and Corsas. These cars are very much standard with slight engine & suspension tuning. 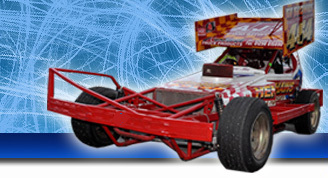 The Rookie Rods race at both Spedeworth & Incarace raceways across the UK.